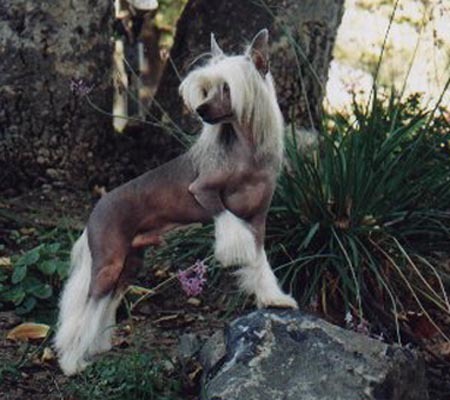 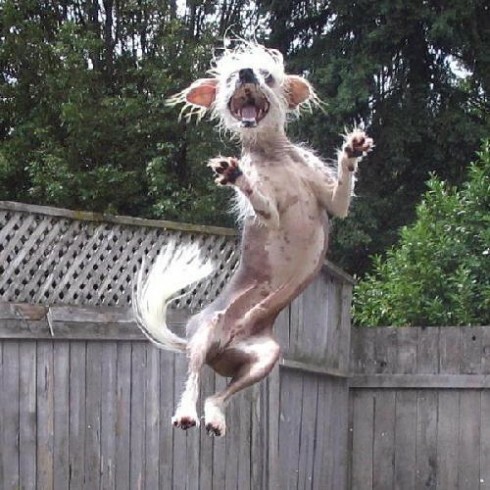 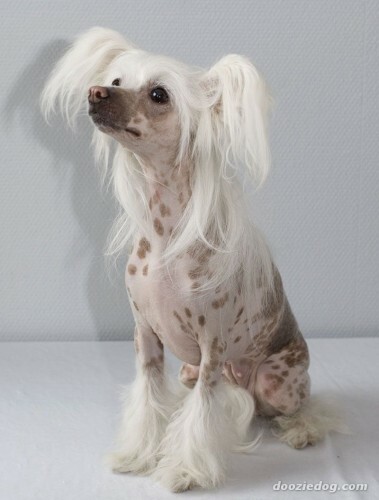 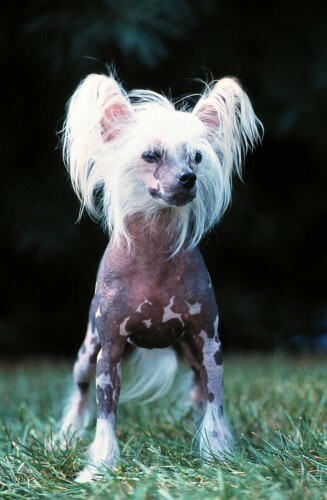 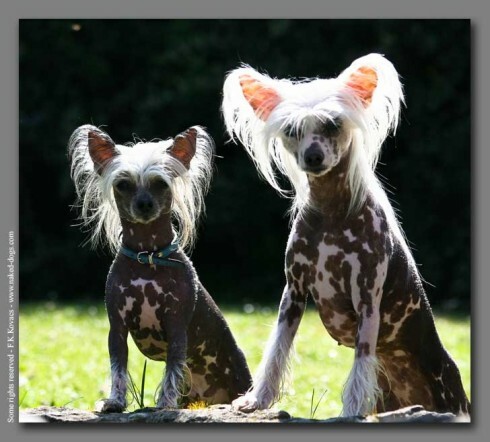 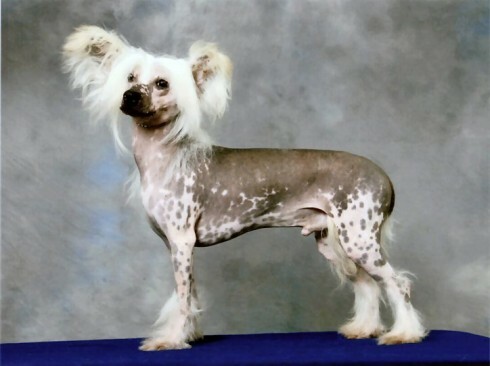 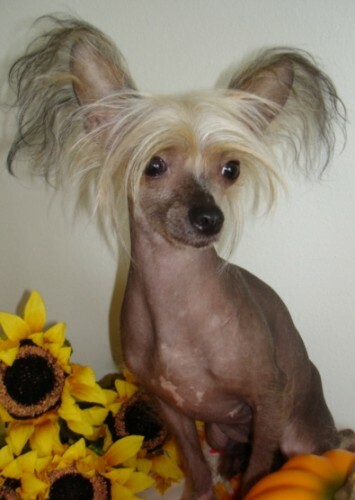 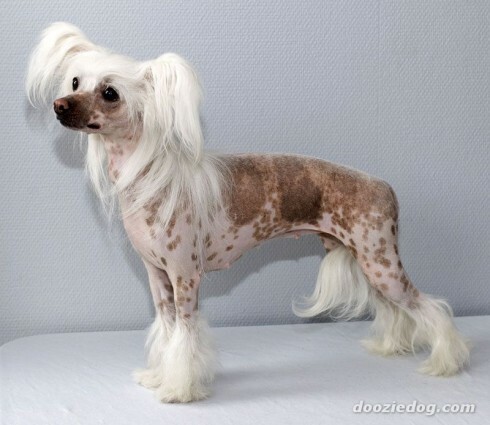 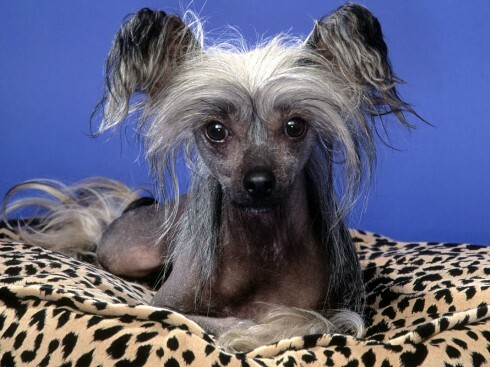 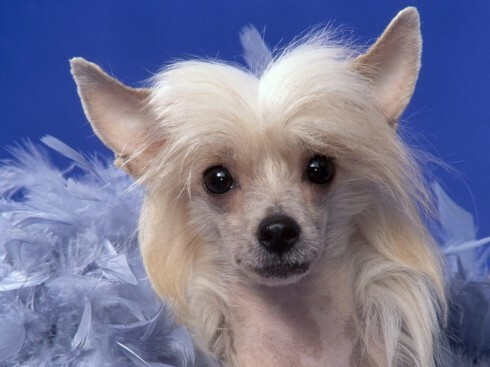 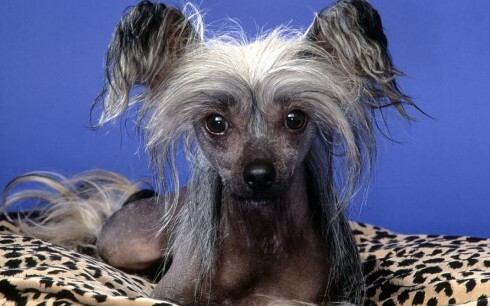 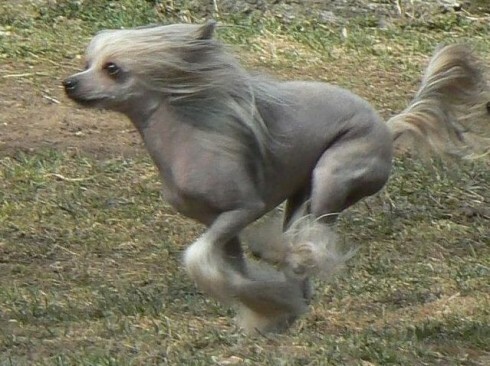 The Chinese Crested comes in two varieties, Hairless and Powderpuff. 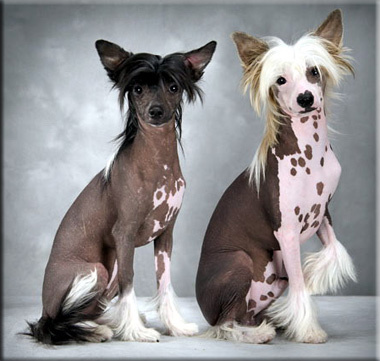 The Hairless is the most unusual looking of the two. 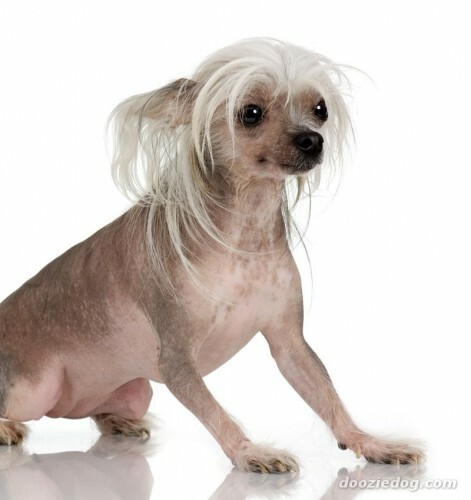 He is not completely hairless. 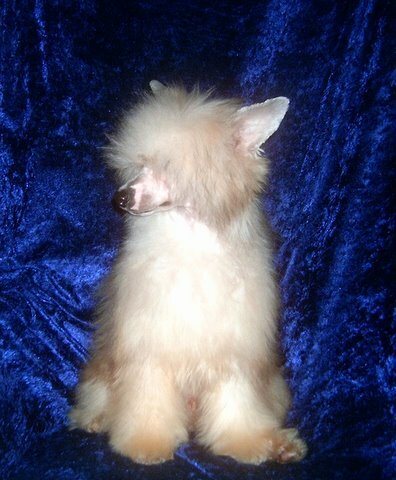 He has a tuft on his head, called his "crest", a "plume" on his tail, and his feet are covered with hair, called his "socks". 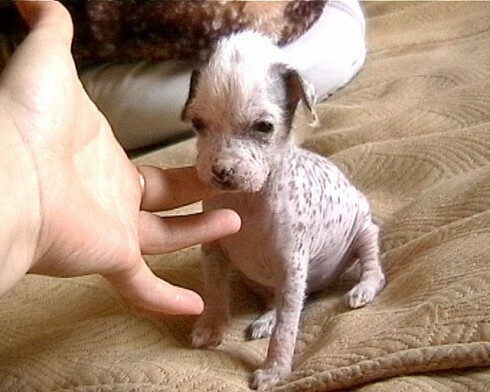 The skin should be soft to the touch, but may sometimes need moisturizing lotion. 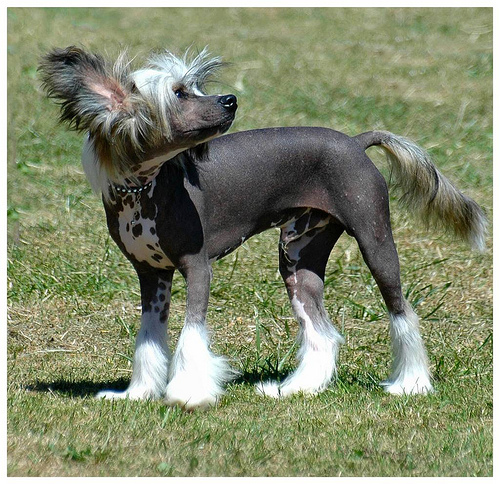 Outside, he needs lotion to keep him from getting sunburned. 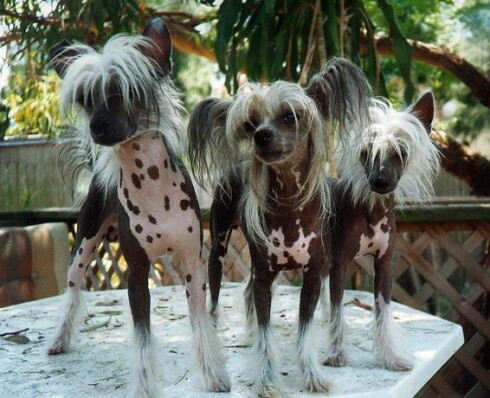 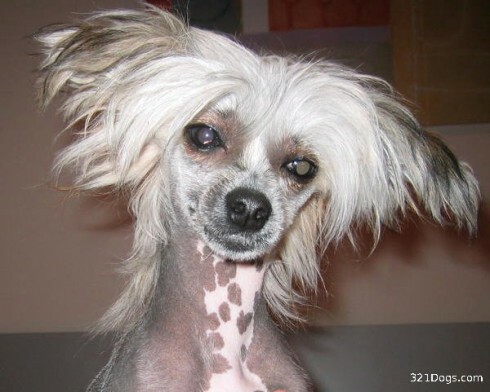 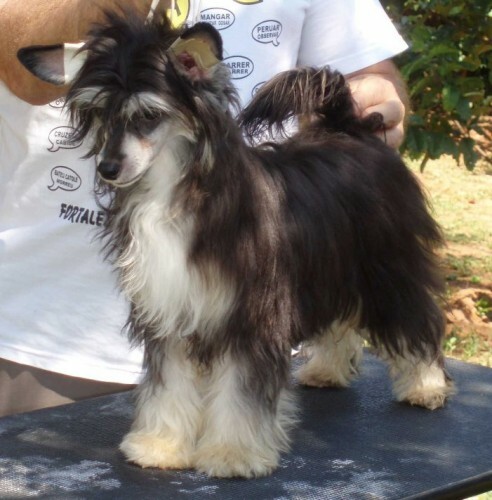 So you want to own a Chinese Crested? 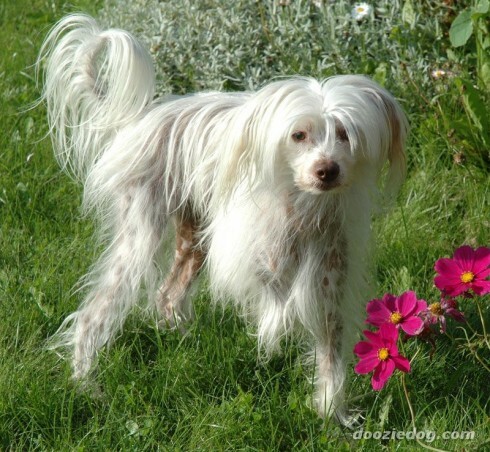 The Chinese Crested is a breed that generally does well with people with allergies. 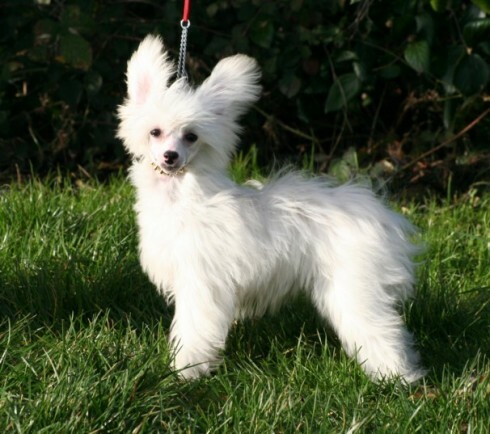 This information is based on breeds who possess a single layer of coat and therefore usually produce less dander than double-coated breeds. 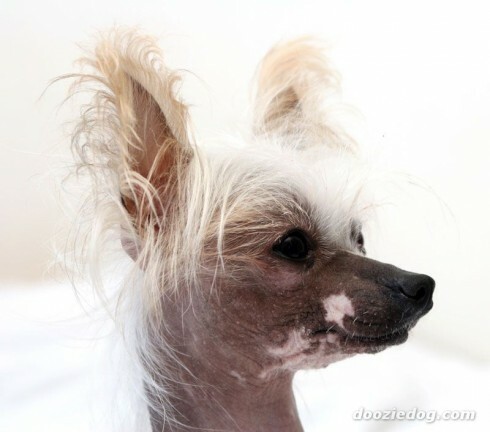 It is important to use lotion to keep the hairless variety's skin from becoming dry. 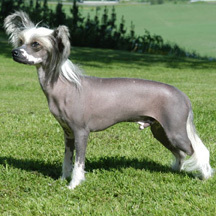 Suntan lotion should also be used to protect the skin when outdoors. 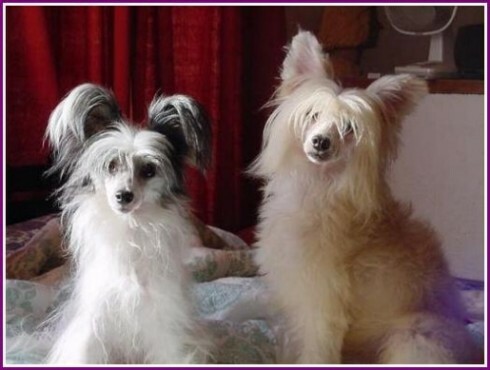 Chinese Cresteds are happy and alert. 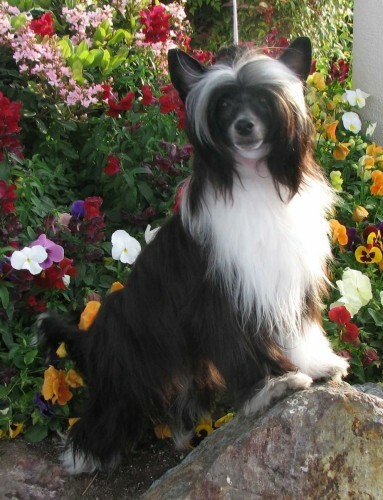 They are loyal and affectionate dogs who make wonderful, playful, and entertaining companions. 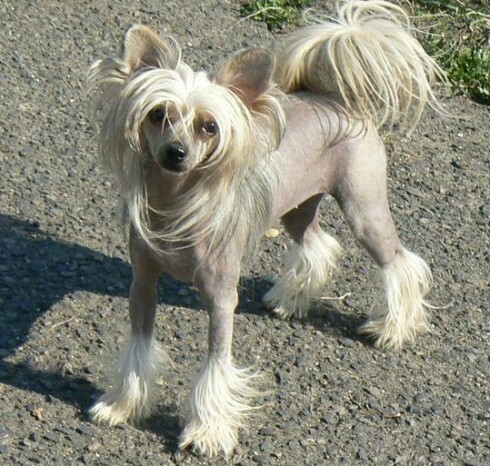 Extreme hare-foot, narrow and very long, with unique elongation of small bones between joints, especially in forefeet, which almost appear to possess an extra joint. 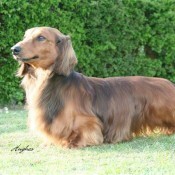 Nails any colour, moderately long. 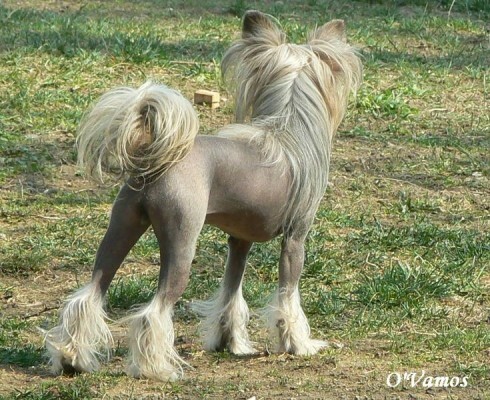 Socks ideally confined to toes, but not extending above top of pastern. 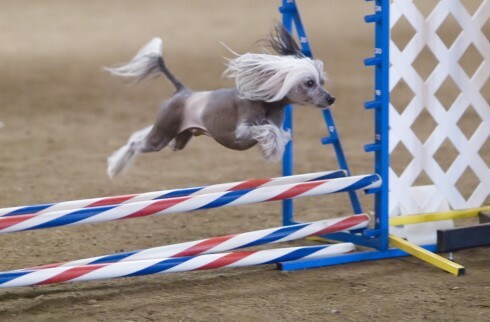 Feet turning neither in nor out.